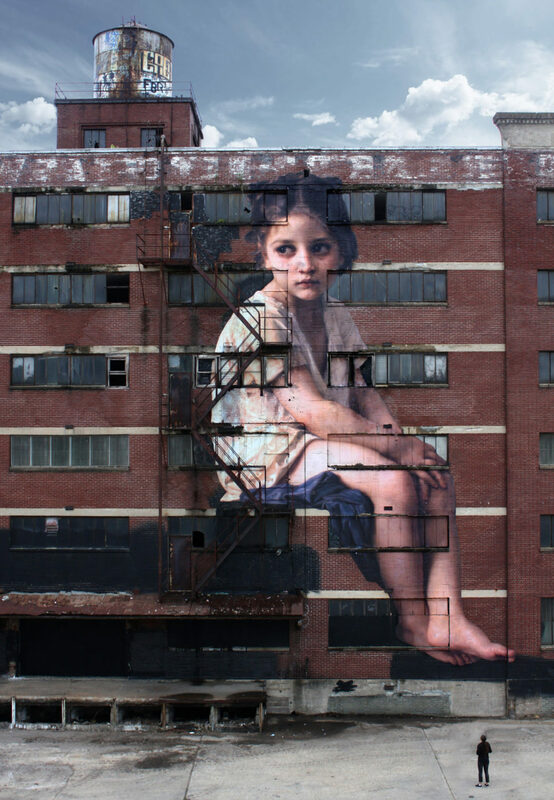 A little girl from William Bouguereau’s 1886 painting ‘Au pied de la falaise’ looks out over the city of Memphis from the side of a seven-story building, freed from the original work’s confines within the Memphis Brooks Museum of Art. 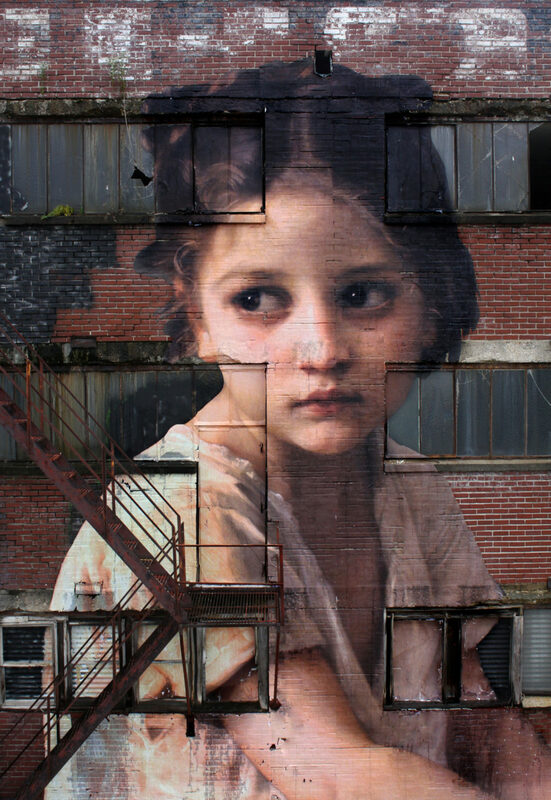 French street artist Julien de Casabianca is known for moving the subjects of famous paintings from the hallowed walls of perfectly-lit museums and into the streets, wheat pasting them many times larger than life onto urban surfaces. 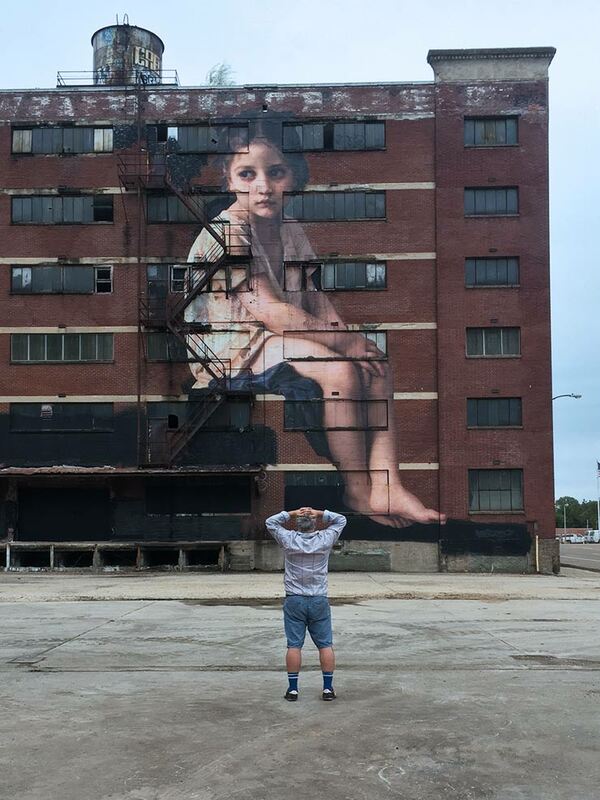 This particular monumental work coincides with the artist’s exhibition and workshop at the Brooks Museum. It’s not the only character from within the museum to come to life in the streets of Memphis; the artist met with museum officials earlier this year to choose 20 figures from the Brooks’ permanent collection to place around the city. Other paintings chosen for the project include a two-story installation of Cloar’s Wedding Party and a 20-foot high selection from Luca Giordano’s The Slaying of the Medusa. De Casabianca has wheat pasted works like this all over the world, in fact, as part of his ongoing series “Outing Project.” You can find out where to see the works in person and follow their progress on Instagram.